While there are plenty of augmented reality apps that highlight nearby points of interest overlaid over live video feed, this feature is still non-existent in iOS Maps app. 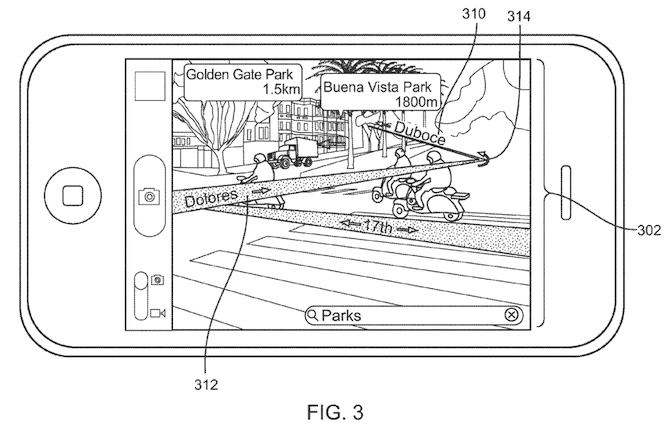 But a number of mapping-related patents and quiet acquisitions of startups focused on mapping tech indicate that Apple has been quietly working on taking the mapping experience on iOS devices to the next level. The handheld communication device visually augments the captured video stream with data related to each point of interest. The user then selects a point of interest to visit. The handheld communication device visually augments the captured video stream with a directional map to a selected point of interest in response to the user input. Patently Apple has more information on the filing. Apple credits engineer Jaron Waldman with coming up with this invention, available in full detail by typing in a document ID of 20110199479 into the USPTO search engine. 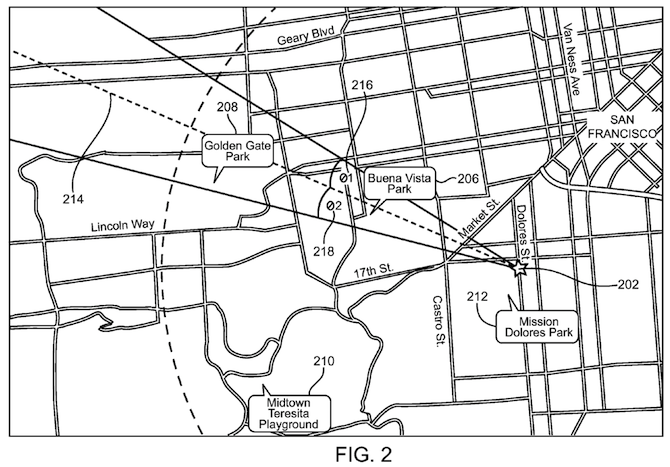 The same person was also credited in the recent “Schematic Maps” patent application describing how a mobile device could dynamically detail important points of interest. Why is Waldman important? As our own Seth Weintraub discovered in this Computerworld article, Jaron Waldman had been the CEO and founder of mapping service PlaceBase before he joined Apple’s Geo Team when the gadget maker acquired the Los Angeles-based mapping startup. Even though Apple never confirmed the deal, a hint arrived via this tweet by Fred Lalonde. This man is the founder of Openplaces, a service on the mission of “building the world’s largest database of travel information”. Interestingly, Openplaces outsources maps via the Pushpin API, which is a technology of – you guessed right – Placebase. In addition to Waldman, former Placebase technology chief Moran Ben-David also joined Apple’s Geo Team.